A Rolex watch easily stands on its own. The brand itself represents style and success, mystery and panache. Also, the watch is known for reliability, durability and quality. So, how do you possibly complement such a strong status symbol on your wrist? You show it a good time, naturally. When you wear a Rolex watch, you’re not one to blend in with the crowd. You don’t take a backseat to anything. And, you’re certainly not one to stay home and let life pass you by. Nope, you’re a take-charge, take-on-the-world and have a darn good time doing it kind of person. 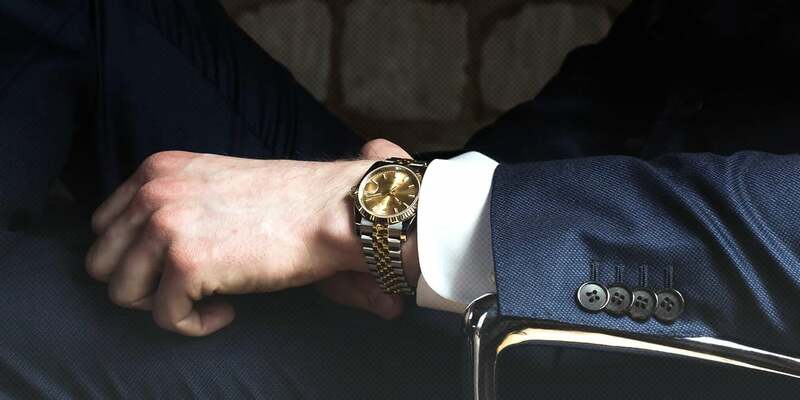 As a result, we’ve compiled a few of our favorite Rolex watch complements that pair perfectly with luxury and style. No, this is not the blog that’s going to tell you what jeans or pinstripe suit to wear with your Rolex. Instead, this is the blog that we hope inspires you to get out there and enjoy life with your trusty Rolex sidekick. Most love the Ubers and Lyfts of the world. 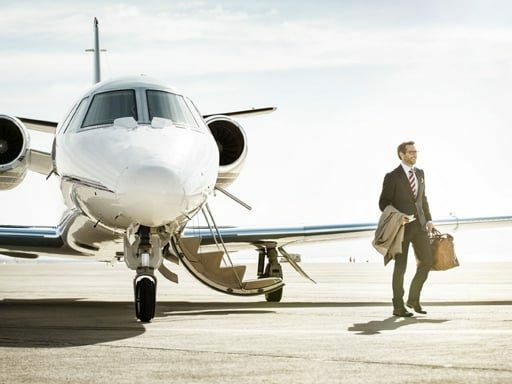 We love the ‘Ubers of the skies.’ On-demand private jet services offer handy little apps to book your private chartered flight so you can travel the world on a whim and with style. Is there really anything more luxurious than sipping on a cocktail, long before the sun sets behind the waves? No kids to look after, nowhere to be, and no one to report to. 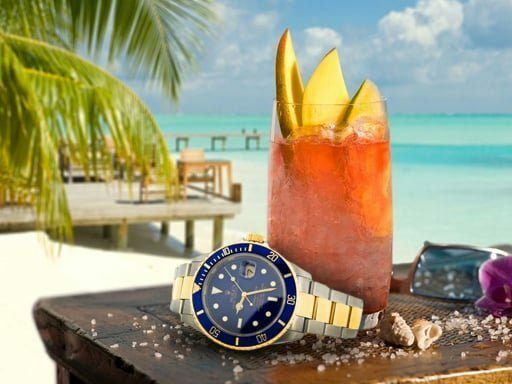 While the setting is perfect for sporting your Rolex, just be sure you’ve done a recent pressure check to confirm the water resistance of your wristwatch. (Read our full article on Rolex water resistance). A broken watch is the last thing you’ll want an afternoon like this. We promised not to tell you if you should go single or double-breasted, but what we will tell you is a personal shopper is the perfect complement to that perfect Rolex watch. Why you ask? You’re too busy enjoying life than to be bothered trying on four different sizes of the same pants just to learn they have to be hemmed a quarter of an inch anyway. 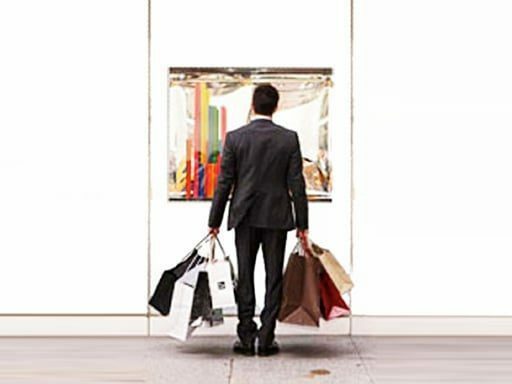 A personal shopper will take your measurements, consider your needs, and come back to you with just the right style choices for your build, lifestyle and overall look. Just make sure your personal shopper knows your exquisite taste in luxury timepieces. You’re balancing it all – work, family, friends. Just as you want your Rolex watch to run properly, you’ve got to keep your body and mind running properly. 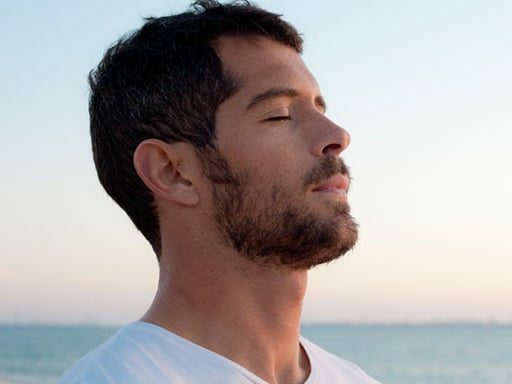 Eat the right foods, get in solid exercise, do a little good in the world, and make sure you get outside and breathe the fresh air. Your Rolex watch wasn’t made to sit behind closed doors and neither were you. The reality of it all is that perfect Rolex watch complements begin with you. Take care of your luxury timepiece and you will enjoy it for many years to come. Owning and wearing a Rolex watch is a special feeling and one that we want to help everyone enjoy. Check out BeckerTime.com for myriads of resources, from tips on how to care for your preowned Rolex watch, to our Lifetime TradeUp Guarantee program, to our full selection of preowned Rolex watches available for purchase.